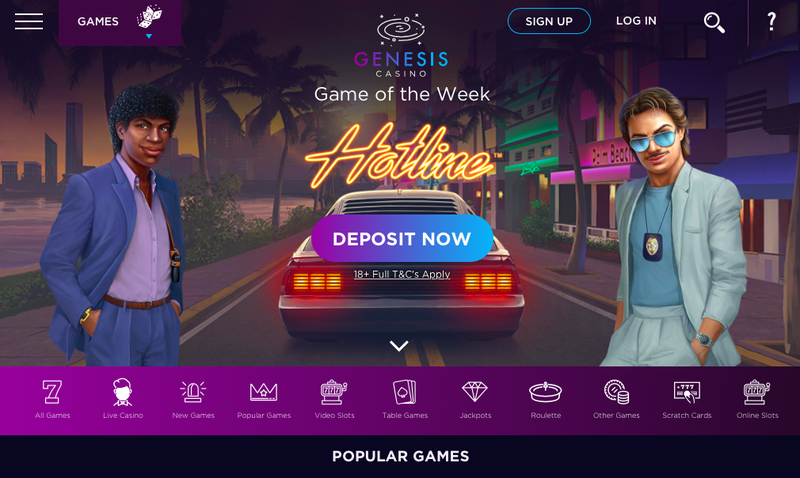 Genesis Global Limited have been fairly hit and miss with the online casino sites they have released to this point, with the likes of Casino Cruise being excellent, while others, such as Vegas Hero, are not quite so impressive. With Genesis Casino, however, the operator has put their name on this one, so surely, we can expect this to be a decent effort? Shining a nice smile is important for an online casino site, but players in the modern era redefine the phrase spoilt for choice when it comes to the sheer number of excellent online casinos that are available, meaning it takes depth and substance to maintain the interest is prospective customers, however good you are at gaining it in the first place. So, outside of the shiny jewellery it rattles on first glance, what else does Genesis Casino have to offer players, and can it compete with the plethora of established casinos that dominate the upper echelons of the industry? Or is this another of the many sites destined to struggle in the middle of the pack? Some Genesis Global sites have struggled in terms of design because after an attractive banner, the artwork runs out, but that is not a problem here. Genesis Casino has a space theme, and while the design itself is not anything particularly incredible, it does a nice job of setting the tone for the site. Characters from popular games available at the site appear in the banner, which space suits on to add a sense of immersion, while the starry design continues down the entire page, providing the backdrop for the rest of the page. What you will find in front of this background is a smorgasbord of thumbnails allowing instant access to the most popular titles available at the Genesis Casino site, sorted into categories to provide the simplest possible navigation. That ease of navigation continues throughout the site, with all information on promotions, the Genesis Casino site, and anything else you may need able to be located swiftly. Genesis Casino doesn’t do anything special, but it does everything well, and that is often the better way. Genesis Casino offers the games collection available across the board at Genesis Global casinos, totalling out to over 1,300 games. This is certainly an impressive number, but it is let down more than a little by the lack of variety in software developers. While the list is a veritable who’s who of high profile software developers, with titles coming from ELK Studios, Evolution, Microgaming, NetEnt, NextGen Gaming, Play'n GO, Quickspin, SG Digital, and Yggdrasil, there are some glaring omissions. While the likes of Playtech mean a lot of popular games aren’t available here, it’s the lesser known developers, the rising stars of the industry that prove so popular at other sites, that are most impactful by their absence here. Having a huge number of games is definitely a good start, and may be enough for a decent number of players, but those who like a wide array of options, including those they may not have come across before, Genesis Casino won’t cut it. 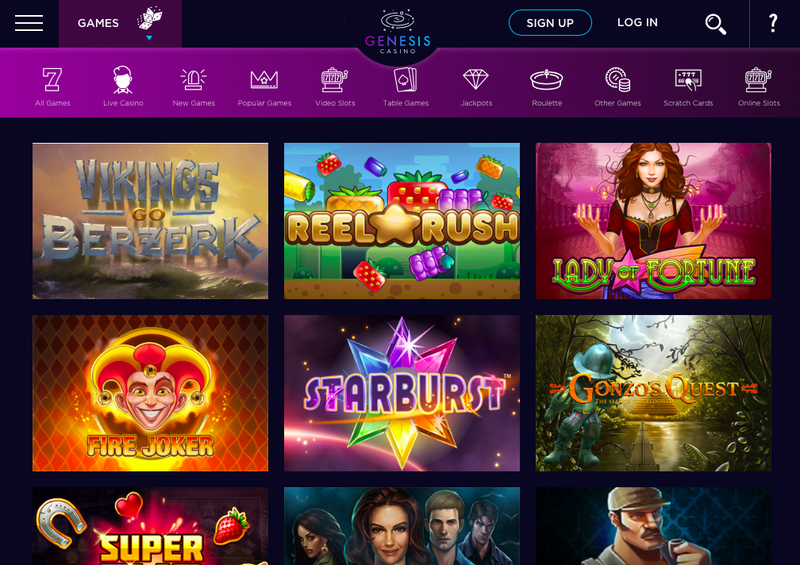 If Genesis Global can land a few more deals with a few more developers, Genesis Casino may well become excellent, but until then, it won’t get past good.